Photos by Muguette Goufrani. . Photos courtesy of the Ministry of Culture and Tourism, Ethiopia . 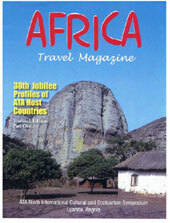 PHOTO ARCHIVES: Click on any link below for photos from our magazine's archives, courtesy African government tourist bureaus, airlines, tour operators and ATA members in support of travel and tourism to Africa. 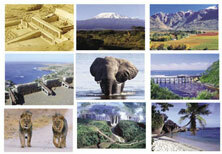 ATA Congress 2001 - South Africa ..